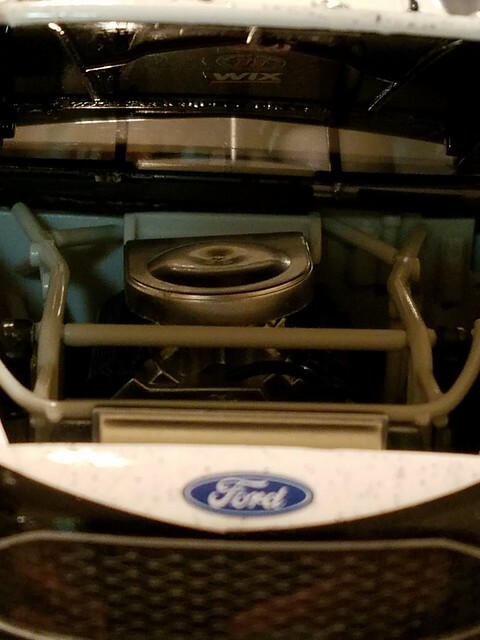 I posted these pics in the 'ol infamous QA/QC thread but since it still seems to be occurring have you noticed that when you open the hood the whole engine will be slanted as well. It's like the whole sub assembly sits in wrong or is over torqued on the one side. 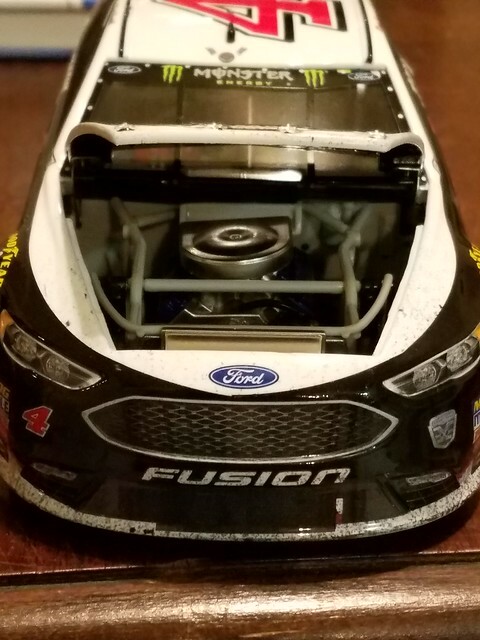 You can tell by the photos this would have the driver side pulled up and off the ground which, as far as I understand it, is almost always the one affected. If they can come up with something to ensure the engine is sitting level I think this will in turn correct the wheel positioning. Just trying to give you another angle to address it from with the factory. Maybe they aren't quite understanding and focusing on the wrong thing. These pics are from a Harvick Atlanta win I received awhile back but gives a great shot of what I'm referring to. Last edited by FreakyFast4ord; February 11th, 2019, 10:59 PM. I would add that the 3 wheeling cars I’ve gotten have been Chevy’s, Fords, and Toyota’s, and both ARCs and Elites. So it’s not just confined to one make or format. I will pass these photos along to production. Thanks!